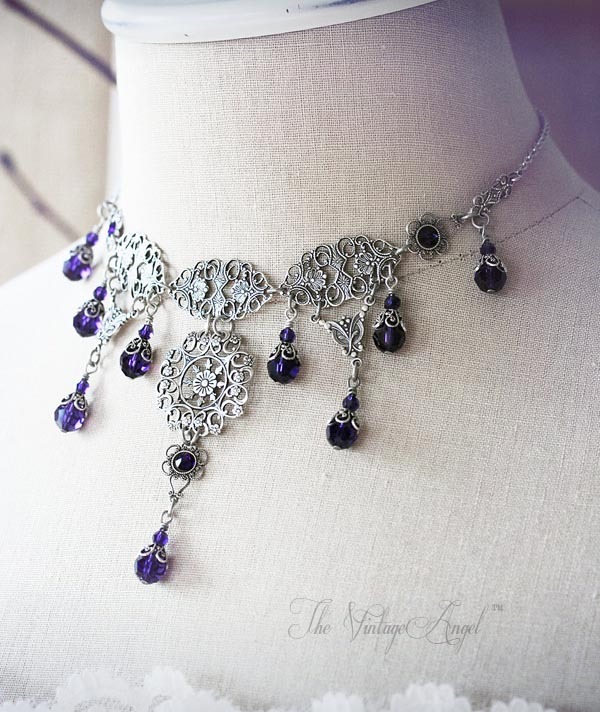 This exquisite Victorian inspired choker features an array of filigree links and stampings in antiqued silver detail paired with deep purple velvet Swarovski crystal drops. The choker comes at an adjustable length from 13" - 17" and looks best worn at the base of the neck. 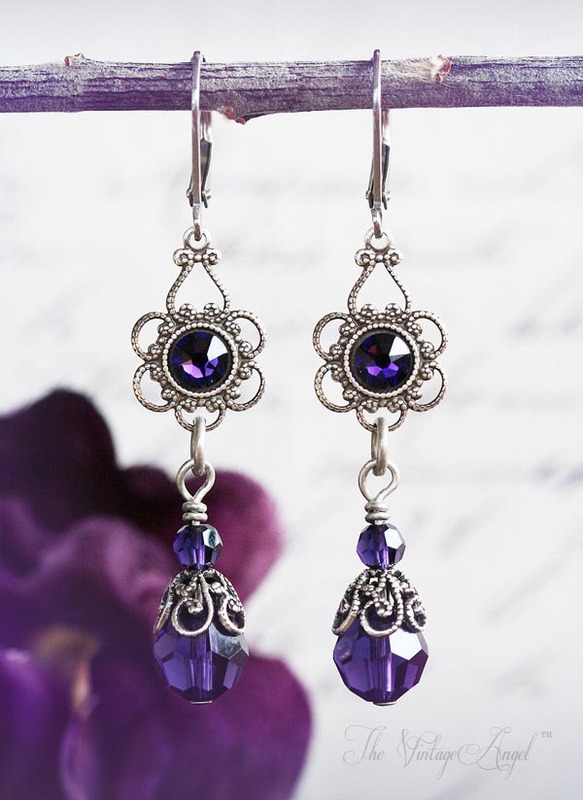 Matching earrings come with as shown, featuring surgical steel leverback hooks for pierced ears. 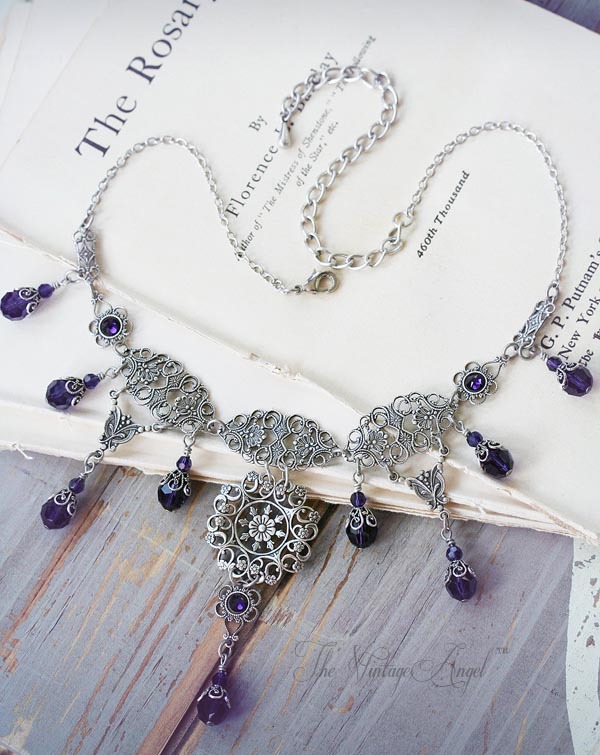 This show stopping, matching set comes gift boxed together, and is made to order (please allow for a 1 - 2 week lead time). Metal components are made of high quality, sterling silver plated brass, made in the U.S.A.